– Syrian Refugee gives back by using his musical talent. 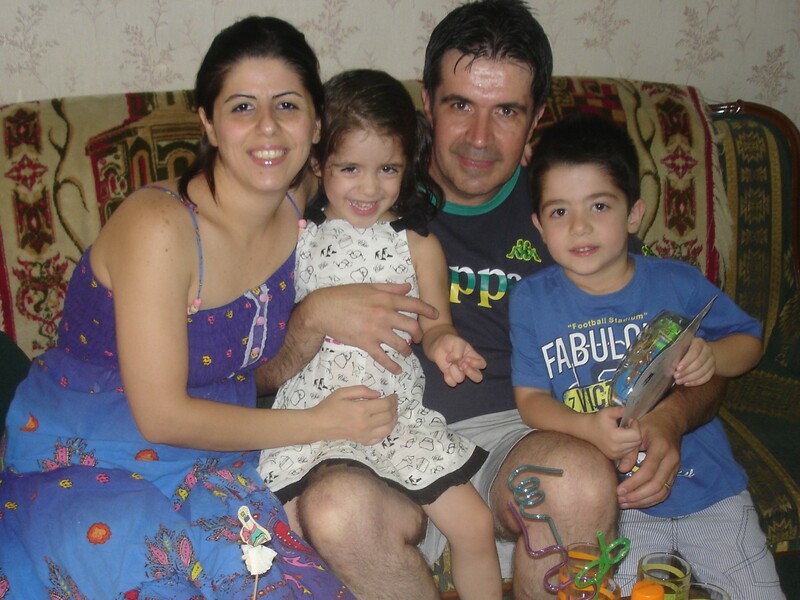 – Discover news about another Syrian Family commencing that same long road from Damascus. The ongoing conflict in Syria has triggered the worst humanitarian crisis in the world to-day. Over 33,000 Syrian refugees have arrived in Canada since November 2015 when Prime Minister Trudeau opened the doors to approved applicants. That “door” is now closed for government sponsorships but private sponsors still have until the end of 2016 or early 2017 to apply and receive approval. One fortunate refugee who took that long road from Damascus to Victoria is a talented musician, 31 year old, Sari Alesh. Sari played with the Syrian national orchestra for six years, touring and playing in Germany, Italy and the Middle East. He also performed with leading Arabic pop stars and recorded a number of successful records. Sadly his musical career was abruptly halted for five years as the conditions within Syria deteriorated due to war. He spent the early years of the Syrian civil war in Damascus but then, like so many in Syrians, he fled his home to find safety in Turkey during 2014. Since arriving in Victoria nine months ago, life has been busy for Sari. The accomplished violinist has been able to take some lessons at the Victoria Conservatory of Music. He is also improving his English studies at UVic and wishes to study for a Master in Music. He hopes to be successful to secure a scholarship to fulfill this dream. His ambitious plans are now to continue to play violin (in some capacity), teach French/Music and also to teach violin to children with downs syndrome. Despite being focused on his new studies he still finds time to connect with his new Canadian community and try and give back to help others. He is so appreciative towards the people who sponsored him to move to Canada. He feels it is only correct that he return the kindness, as best as he can. On 26 November, Sari will be performing in his third Benefit event. This time at the Friendship Community Church, an event that is being arranged to raise funds for another Syrian Family whose cousin, Liza Glynn, lives in Victoria. This family hopes to be following Sari and move to Victoria. The family of five (parents with two young children and a disabled brother) fled Syria after their home was destroyed by ISIS. Having lost everything, they, along with millions of others, decided to leave their homeland in the hope of finding a safe place for their family to re-start their lives again. Their children have never lived without war. They have not had the chance to play safely outside. They have been faced with many other challenges in Syria including daily power cuts, food shortages and other issues due to living in a civil war. They are currently in Beirut with thousands of other displaced refugees hoping for the chance to live in peace. 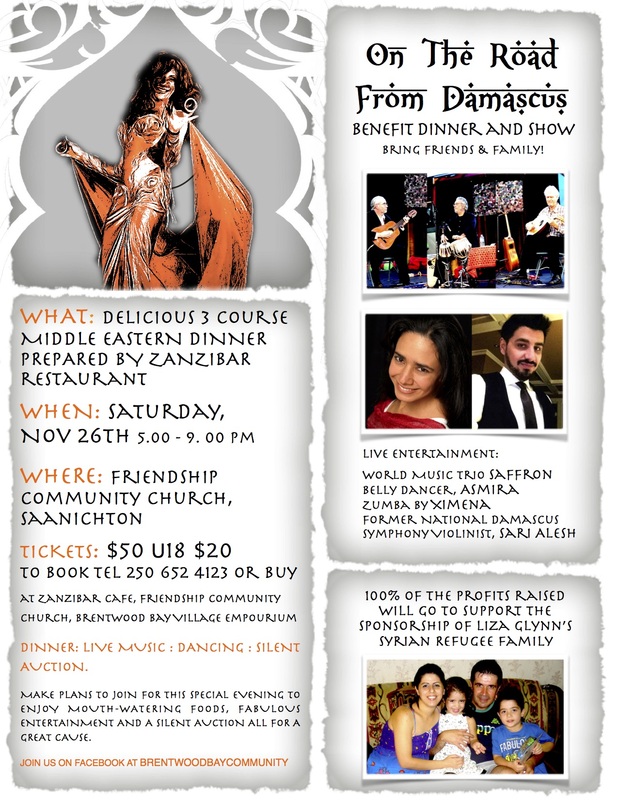 On the Road From Damascus Benefit event will feature Victoria’s local world music group, Saffron. They will lead the Middle Eastern themed musical entertainment, evening together with the dazzling Asmira and her Belly Dancing group, also from Victoria. Sari will join them for a “jam session” and then and he hopes to delight the audience with his chosen music for the night, that will include performances of Turkish, Arabic pop as well as classical pieces. 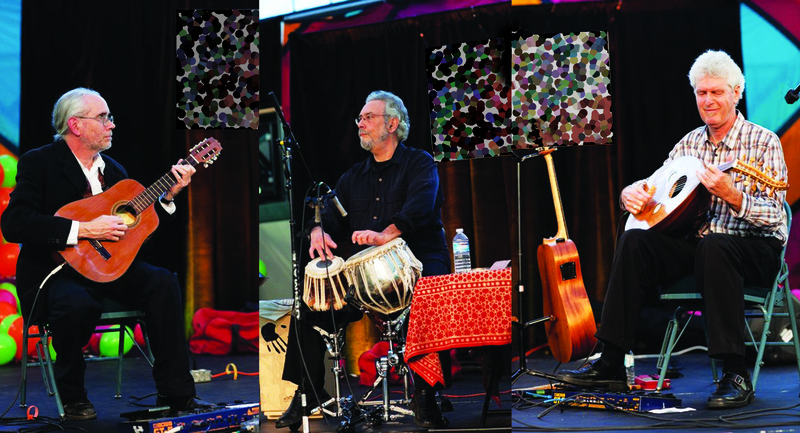 It promises to be a fabulous evening with a three-course Middle Eastern-themed dinner prepared by owners of Café Zanzibar Restaurant in Brentwood Bay followed by the live entertainment. Sari has made his first recording in Canada of his favourite music and you can listen to some of the songs now at this link. Listen to Sari playing Violin on “Yalnız Sen”, a Turkish folk song. 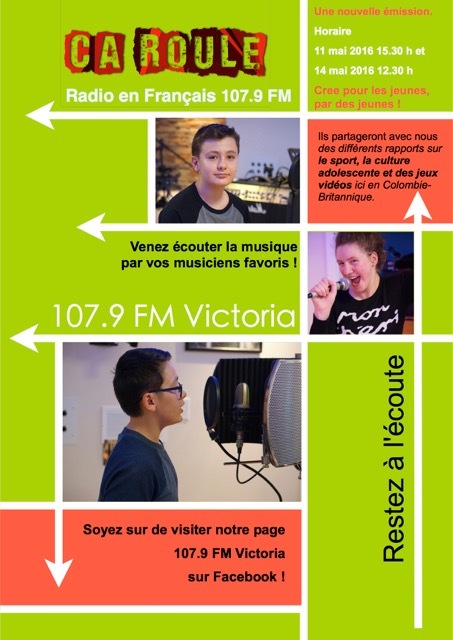 Music Recorded in Victoria, by Richard E Arthur Studios. As Canadians look forward to being reunited or joining their families for Thanks-giving this weekend, one Brentwood Bay homeowner is sadly unable to make such plans. Liza Glynn’s cousins were one of the thousands of families whose lives have been disrupted by the civil war taking place in Syria. Their home in Damascus was totally destroyed by terrorists and life in Syria became dangerous with bombings, food shortages and challenging living conditions. They have now fled to Lebanon in the hope that as refugees they can find a better life. 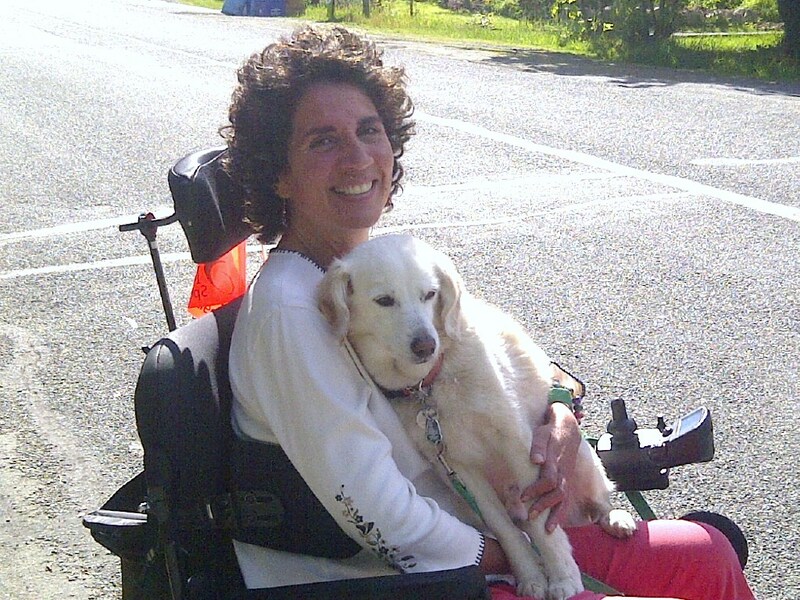 Liza Glynn, who has MS, has not allowed her disability to stall her passion to lobby, fundraise and work to get her cousins approved as refugees and able to move to Canada. Sadly time is running out as her application is only being processed now but she remains hopeful that she can celebrate Thanks-giving with her family in 2017. Meanwhile, her friends are rallying around to help Liza raise the “much needed” funds that are required by private refugee sponsors. An exciting, Benefit Dinner and Show has been scheduled for 26 November 2016 at the Friendship Community Church in Saanichton. All profits will go to aid the sponsorship of Liza’s Christian refugee family (Mother, Father, two young children aged 6 and 7 and a disabled cousin). “We are so lucky to have such a fabulous welcoming community with an amazing capacity to reach out and help within Victoria.” Commented event planner, Sandra Arthur. The owner of Zanzibar Café and Restaurant, Brentwood Bay will be cooking a Middle Eastern themed dinner (at cost) so that the fundraisers can maximize profits. Following dinner, guests will be entertained with a Middle Eastern twist:- World Music group, Saffron will take you on a one-of-a-kind journey through the evocative sounds of India, the Arabian peninsula and Africa. Local dancer, Asmira will delight the audience with her exotic Belly Dancing skills and Ximena will give all the chance to try out their dancing skills by joining her in Zumba at the end of the evening. 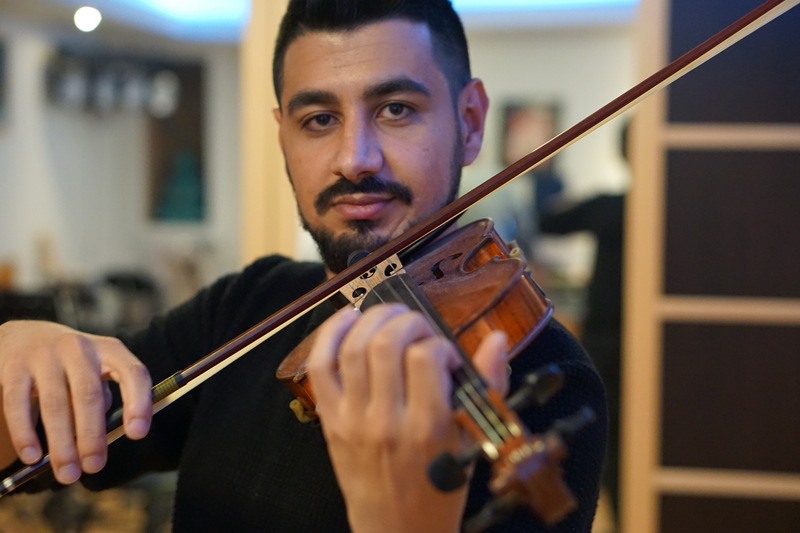 A recently arrived refugee from Syria, Sari Alesh who played for the National Damascus Symphony will share his wonderful talent and play a number of music pieces on his violin. He will also share his story on his journey from Damascus, to refugee and finally to Canada. I hope readers will want to join and attend this dinner or send donations if they are unable to attend. For ticket information visit the Peninsula Refugee Fund Team page at Facebook for more information. Make it a date that counts! 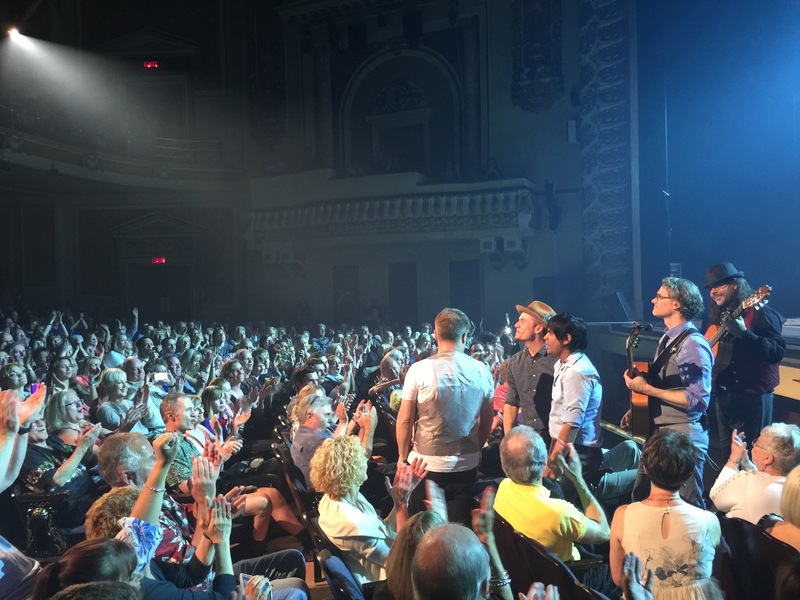 Jesse Cook in Concert – leaving the best to last. 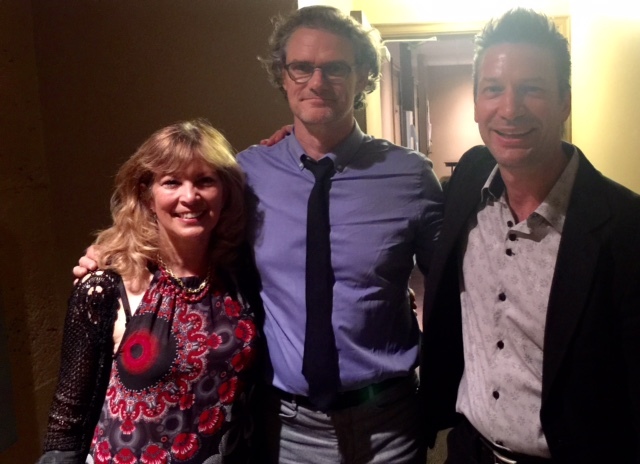 Review of Jesse Cook’s Live Show Victoria BC, Canada 5 June 2015. The final venue for Jesse Cook’s current Canadian tour took place in Victoria, B.C. Canada, and what a show! From the outset he was ready to party and encouraged, the mainly middle aged audience (his fan base (?) or simply Victoria!) to join him in a rhumba party. And yes the crowd were ready to clap, dance and participate in sing-along audience participation throughout the show with the band. I’ve been a big fan since the release of his first CD, Tempest in 1995 and used some of his haunting, swirling Arabic and Brazilian fused rhythms mixed with his famous flamenco-style music from Vertigo (his hugely successful 3rd CD) at my wedding in Cannes, France in 1999. If you are not familiar with this artist, Jesse Cook is a Canadian guitarist, composer, and producer. Widely considered one of the most influential figures in “nuevo flamenco” music, he incorporates elements of flamenco rumba, jazz & many forms of world music into his work. He is a Juno Award winner, Acoustic Guitar (magazine)’s Player’s Choice Award silver winner in the Flamenco Category, and a three-time winner of the Canadian Smooth Jazz award for Guitarist of the Year. He has recorded on the EMI, E1 Music and Narada labels and has sold over 1.5 million records worldwide. In addition to headlining concerts and festivals, he has opened for such legends as B.B. King, Ray Charles and Diana Krall. He has also performed with Welsh soprano Charlotte Church and toured with legendary Irish band, The Chieftains. This current tour was designed to promote his latest album, One World, which features a diverse range of musical influences from South America, Middle East and beyond. This penchant for “world music” is equally reflected in his choice of band musicians. I pre-ordered this CD and I’m still waiting to receive it so will review once received! His longest serving band member is Chris Church– the multi-talented maestro from Halifax, Nova Scotia. Church plays the violin, accordion, percussion and sings. And, as Jesse shared with the crowd, he recently added the Armenian Duduk (the Grandfather of saxophones and Oboe) to his playing skills! Jesse had discovered this sound during his travels and a famous Armenian musician and composer, Djivan Gasparian had recorded with the band for one number on an earlier CD, Free Fall. As a result, it was a song that Jesse could not perform live “Incantation” as it was impractical to fly in Djivan from Armenia for one number. As a result, Cook decided to learn how to play this ancient instrument. With that background, Cook teased Church on stage that he better nail the song! Which of course, he did. On percussion Jesse had secured the services of Chendy Leon from Cuba. He was the backbone to the whole show and moved from drums, congo, tin pans and delivered an amazing and entertaining solo on a cajon. Another force on stage was the equally talented Nicolas Hernandez who has been playing guitar with Jesse for over a decade. His latin musical strumming and plucking strengthen and complement Jesse’s rapid style flamenco guitar playing throughout the show. Adding a slice of funk to the line up was Dennis Mohammed who played bass and an upright bass guitar. A local guest vocalist, from Victoria, was announced and for a moment we thought we might have the good fortune to see Nelly Furtado join Jesse on stage. Certainly her experience to sing in Spanish, English and Portugese would have complemented Jesse’s music, but no it was a local lass, Kristina Héléne. She accompanied the band on the cover of Sting’s number “Fragile” and her smoky, jazz styled voice did justice to this romantic ballard. Jesse ran the two set show with extreme ease and professionalism. Arriving on stage alone speaks volumes about how humble and confident he is about his music. He revealed himself to be quite an amusing and a worthy raconteur. He kick started the show with some well known upbeat songs and then almost apologetically asked permission to play some music from his new CD One World. After this explanation, Jesse asked the audience if they would like to hear how he had built some of the tracks, to which the answer was yes. With the aid of digital looping technology (using his magic pedal box at his feet) Jesse commenced to lay down some basic music composition. He was then joined by other band members, who added to this mix, until a cacophony of reverb sounds rang out around the hall to the appreciation of the crowd. The band moved from traditional line up to moving front stage for casual and informal percussion led numbers, audience clap along involvement and breaking away from the stage for a spine chilling acoustic Crowded House cover of Fall at your Feet, to the delight of the audience. I would like to say a few words about the amazing lighting that bathed the band in blues, purples, red and greens which perfectly complemented the mood of the songs. Atmospheric, moody, sad, romantic, sensual and simply orgasmic – just like the music! I had the good fortune to have a seat in row 3 and so had up close and personal views of his scintillating guitar skills. As he strummed away you could see each tendon in his arm flexing as he strummed and hit his guitar frenetically thorough his unique nuevo flamenco music. I struggled to see if he was still using crazy glue on his nails to strengthen his talons, to survive the abuse his frenzied plucking created! Jesse Cook is an astonishingly generous person repeatedly thanking his band members and mentioning crew members who had gone beyond doing more than their job. He also shared how blessed he felt to make a difference in this world with not only his music but via his ability to give back to different charities. He highlighted one particular environment charity group, David Suzuki’s Foundation Blue Spot that he had invited to share his night. The encore included another audience pleaser, a version of the Simon and Garfunkel classic “Cecilia” and The Lumineers Hey Ho. I met up with Jesse after the show to express my appreciation of his wonderful show. I joked with him how many babies did he think his music had brought to the world. Wearily shaking his head, he had been challenged with the question many times, like Godfather of soul, Barry White, but his meek smile reflected some of his inner pride from such a notion. We discussed the new trend of producing music on vinyl – rather amusing to think that such “old” technology is making a comeback. Must be all these baby boomers in early retirement wanting to bathe in the nostalgia of their youth! Jesse confided he had considered making a vinyl LP but was reviewing production choices in Canada. No promises, as sales are still extremely small representing less than 3% of music sales. So if you want to buy Jesse’s next album on vinyl let him know! Though the tour was over for the moment, there was no time to party, for Jesse had a 6 am flight back to Toronto in the morning. He’ll be back in July performing in other parts of Canada and USA through to year end. If you missed seeing his him this time then I highly recommend you book a seat for one of his shows later this year – definitely one of the people to see this year! You won’t be disappointed. Bravo Jesse and band. I absolutely loved it darling. Five steps to business success. I was listening to a podcast by Chris Cardell and took the following interesting notes. In this ever competitive world the benefits of being perceived as a thought leader in your business sector is paramount. There are some excellent lessons you can learn from the top one percent of successful entrepreneurs and thought leaders in the world. By taking on board a new approach to the way you do business; you will achieve more in twelve months than you have in the previous twelve years. Action and speed. All successful businesses are those that are fast to market with a new innovative idea. As a leader you need to have the compulsion to take massive actions – implementing marketing, online strategies, new products, price increase, communicating with customers, firing ineffective staff and suppliers and replacing with those more efficient players. You need to take action 10 x faster than others. You cannot thrive if you implement everything slowly – you try it out, then implement fast. Take action simultaneously and not sequentially. It creates some chaos – most entrepreneurs are surrounded by chaos because if you run your business too slowly, progress will be slow, step-by-step. It will also allow your competitors to catch up and win. Attitude and mindset around failure. Winning businesses have a radically different view of failure. Fear of failure is a barrier to entrepreneurial success. You need to embrace failure. These experiences are not real failures – they are results to learn from. Example, Richard Branson has failed in business, many times. He faced these set backs and failed again but it in the end he has had huge successful and great business results. He is one of the top thought leaders in his class. Marketing mastering. Coming out of the recession we are facing a new economy. Survival of the fitness. Working with an average marketing plan and you will be crushed. Immunity to criticism. As you grow your business, taking risks will give you results. People will try and stop you or slow you down. There will be pressure and you need to manage this. By applying the above steps to the way you manage your business, you will reap huge differences in the way your company will grow in the years ahead. Are you leaning forward or back? With the recent release of Facebook’s COO, Sheryl Sandberg, book, Lean In, the internet has been buzzing with commentary, support or disgust. It has spurred a worldwide discussion on the merits of women in high places or not. The book is calling to women to stop unconsciously sabotaging their careers, by having children or put it another way, having a life outside of the boardroom. I do not want to open the can of worms that debates stay-at-home-mum v career ladder climbers etc as I believe many woman around the world have been leaning in for decades. They know the shots and have made their decisions with a clear mind. Whilst I will disclose I concur with the general position that corporations and boards should close down their old boy networks and open and welcome into their dusty boardrooms to talented, qualified women, I live in the real world. In the majority of corporations, men still hold the highest percentage on senior roles and seats on boards. Prejudice rides high and when faced with two equally qualified candidates, men will typically elect to hire another man over a woman. Research confirms time and time again, that customers prefer men. Sad but true. It is therefore no surprise that men still hold the lion share of power, but it’s shocking to learn that men still receive higher remuneration for the same job. The median wage for women is lower than the median wage for men in most countries. There is a general scholarly consensus that the majority of the differences between men and women’s pay can be attributed to differences in the choices men and women make regarding their careers, so here Sheryl Sandberg has a point. How can this all change? Ms Sandberg is making the case that women need to be more proactive in their early career choices and “lean-in” for those leaps up the ladder. For starters she could look toward Europe. The gender-quotas has been an important driver for change, and no-where has this more seriously been applied is in Norway. The Norwegian regulations for 60/40 per cent gender balance on company boards – world known as the quota law– has become a benchmark and a field study for Europe’s aim of increasing the number of women in economic and commercial decision-making. Many things have been said and written about the Norwegian quota, not least the positive affect companies has enjoyed by including women on their board. It took legislation to pave the way for self-regulatory and complementary measures in Norway, perhaps other countries need to follow their lead. That’s the only way more woman will be assisted to “lean in” to those C level roles. In countries like USA, UK and many others there is a need for both parents to work. The cost of home purchase, cars, education and all the other trappings of middle class living demand that two salaries be brought into a household. So I believe many women have weighed up their choices. For those that want to “lean in” they are already there! They made their choices and now their families are stuck with an absent mother who is probably frazzled at home due to her impossible agenda and constant work demands. These are the choices people make and whilst Ms Sandberg may believe it is the right choice for her, it is perhaps wrong of her to dictate that more should follow her in footsteps. Money and power do not equal happiness and so to close this blog, I will end with this famous story and joke about the Mexican fishermen. In the spirit of “Lean In” I’ve changed the gender for fun but the moral remains the same. World Read Aloud Day 2013 – what are you reading? Did you know that 774 million* people in our world, cannot read… And 66% of the world’s illiterate are female? Based on World Bank research and economic data and UNESCO education statistics, it estimates the economic cost to 65 low and middle income and transitional countries of failing to educate girls to the same standard as boys as a staggering US$92 billion each year. Let’s repeat that fact; the failure to offer girls the same educational opportunities as boys costs developing countries almost $100 billion each year in lost economic growth. *These facts are confirmed by my source: U.S. Department of Education, National Institute of Literacy – Date Verified: 2.20.2012. Reading educates and empowers people – both women and men. Family poverty hits girls hardest as they are pushed to find work to support their family. Girls drop out of school more – with a 29% decrease in primary school completion for girls versus 22% for boys. With no ability to read, people cannot learn and this disability typically results in a life of poverty, disadvantage or crime. This trend is confirmed by reviewing, for example, the percent of prison inmates, in the USA who can’t read is 63%. If this was true, how could reading improve the lives of street children, children in conflict with the law and children in the worst forms of child labour? Many children have multiple problems and belong to more than one category or move between categories over time. Many of the root causes and factors that impact on the lives of these children are similar – namely poverty and this drives lack of education and opportunities many take for granted. With those sobering thoughts in mind I call everyone to celebrate by arranging to read aloud, give away a book, or taking action in any way you can. 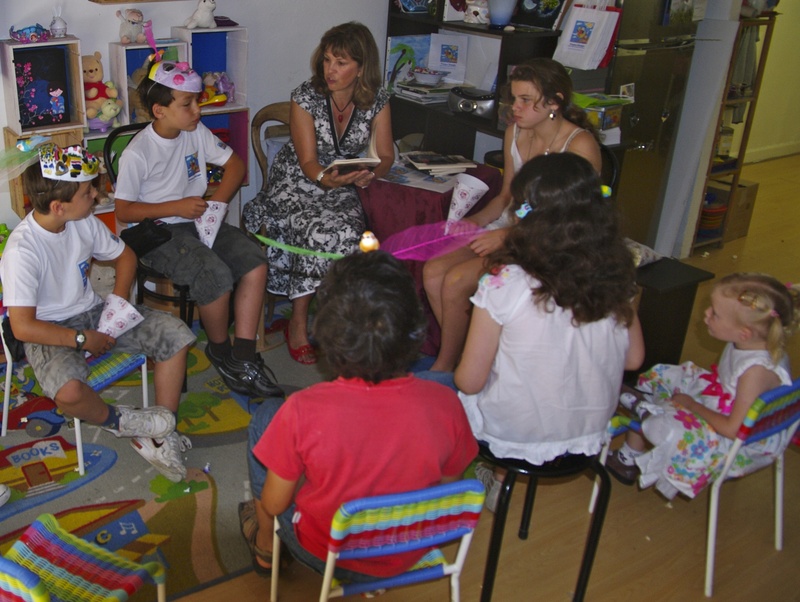 As a children’s book writer, I ask that you celebrate World Read Aloud Day on 6 March 2013. As a young girl, I can never remember my father without at least a book or newspaper – often both – in his hands. He would read to us, tell us stories and sing songs each night as he put us to bed with my mother. He encouraged my brother and I to visit the library each week, and we were given a free reign to choose any book to take home to read. He allowed us to select our favourite comics at the newsagent, and set up a regular home delivery each week, so that we did not miss out on our favourite stories or pop-world gossip. This style of reading was fun – it was different from the forced reading we had to do at school, and yes, this approach assisted me to love reading. That’s why I was so keen that I would follow my father’s example and ensure my kids took up his love – to read books. As soon as they could hold anything, I thrust black and white board books into their hands. I followed this up with the full range of wonderful look and feel books that exist, and ensured that they were read to each night. Now to my delight, they love books as much as my husband and I and of course, their late Grandad. March 6th would have been my father’s 76th birthday. I think he would love to know that his birth date has been chosen as World Read Aloud Day. A love of reading is one of the greatest gifts you can give to any child – take a moment to determine how you can pass on this wonderful gift to children in your life. Take action for the Global Literacy Movement! Please link to the site below if you are interested in launching a LitClub in your community: for Girls or Boys, or for Mothers. If you would like to register for World Read Aloud Day, coming up on March 6, 2013, click here.